Dream Baby. Only the Lonely. Blue Angel. Too Soon to Know. That Lovin' You Feelin' Again - Emmylou Harris. A Love So Beautiful. Pretty Paper. California Blue. Of Discs: 1 disc(s) Studio / Label: Polygram UK Release Date: 23 Apr 2007. Disc 1 1 Grease 3.25 mins. Disc 1 10 Alone At The Drive-In Movie 2.25 mins. 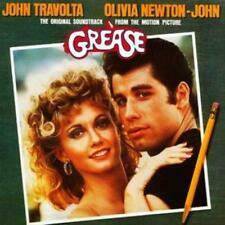 Disc 1 24 Grease (Reprise) 3.24 mins. Disc 1 3 Hoplessly Devoted To You 3.05 mins. 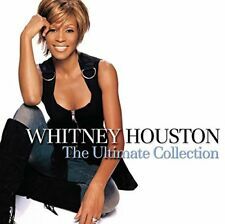 Of Discs: 2 disc(s) Studio / Label: Warner Music UK Release Date: 26 Feb 2007. Disc 1 9 Through the Barricades 5.33 mins. Disc 1 12 The Closest Thing to Crazy 4.11 mins. Disc 1 14 Save the Best for Last 3.38 mins. Of Discs: 3 disc(s) Studio / Label: Rhino UK UK Release Date: 11 Jun 2007. Disc 1 9 Tweeter and the Monkey Man 5.27 mins. Disc 1 7 Heading For The Light 3.36 mins. Disc 1 10 End of the Line 3.29 mins. 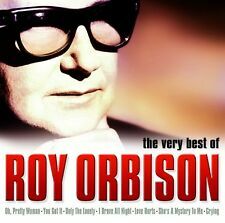 Of Discs: 1 disc(s) Studio / Label: RCA UK Release Date: 27 Jan 2007. Disc 1 8 Dreamgirls 3.19 mins. Disc 1 19 Dreamgirls (Finale) 2.32 mins. Disc 1 20 When I First Saw You (Duet) 3.01 mins. Disc 1 3 Cadillac Car 2.22 mins. LINDA RONSTADT. GREATEST HITS I & II. Just One Look. When Will I Be Loved?. Tumbling Dice. Ooh Baby Baby. Back In The USA. How Do I Make You?. Of Discs: 2 disc(s) Studio / Label: Rhino UK UK Release Date: 12 Nov 2007. Disc 2 11 All My Love 5.53 mins. Disc 2 10 In the Evening 6.51 mins. Disc 2 9 Achilles Last Stand 10.23 mins. Disc 2 8 Nobody's Fault But Mine 6.16 mins. The Best of M People CD (2007)Title: The Best of M People Genre: Rock/Pop|Pop Duration: 69.30 mins Format: CD / Album Type: CD No. 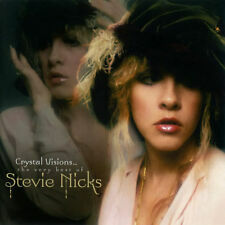 of Discs: 1 disc(s) Studio / Label: RCA UK Release Date: 09 May 2007. The Who : Then and Now! 1964 - 2007 CD (2007)Title: Then and Now! 1964 - 2007 Artist: The Who Genre: Rock/Pop|Rock Duration: 79 mins Format: CD / Album Type: CD No. of Discs: 1 disc(s) Studio / Label: Polydor UK Release Date: 11 Jun 2007. McFly : Greatest Hits CD (2007)Title: Greatest Hits Artist: McFly Genre: Rock/Pop|Pop Duration: 47.40 mins Format: CD / Album Type: CD No. of Discs: 1 disc(s) Studio / Label: Island Records UK Release Date: 05 Nov 2007. Of Discs: 1 disc(s) Studio / Label: Virgin EMI Records UK Release Date: 02 Jul 2007. Disc 1 2 Master of Puppets 8.35 mins. Disc 1 5 Disposible Heroes 8.17 mins. Disc 1 3 The Thing That Should Not Be 6.36 mins. Of Discs: 1 disc(s) Studio / Label: Virgin EMI Records UK Release Date: 02 Jul 2007. Disc 1 2 Ride the Lightning 6.36 mins. Disc 1 3 For Whom the Bell Tolls 5.10 mins. Disc 1 8 The Call of Ktulu 8.52 mins. Various Artists : 100 Hits: 70s CD (2007)Title: 100 Hits: 70s Artist: Various Artists Genre: Rock/Pop|Compilation Duration: 354 mins Format: CD / Album Type: CD No. of Discs: 5 disc(s) Studio / Label: DMG TV UK Release Date: 15 Oct 2007. Break On Through (To The Other Side). The WASP (Texas Radio And The Big Beat). Orange County Suite. Back Door Man. Moonlight Drive. INCLUDES THE FULL VERSION OF "THE END". THE VERY BEST OF. Five To One. Bruce Springsteen : Greatest Hits CD (2007)Title: Greatest Hits Artist: Bruce Springsteen Genre: Rock/Pop|Rock Duration: 76.30 mins Format: CD / Album Type: CD No. Disc 1 18 This Hard Land 4.51 mins. Robyn : Robyn CD (2007)Title: Robyn Artist: Robyn Genre: Rock/Pop|Pop Duration: 48.10 mins Format: CD / Album Type: CD No. of Discs: 1 disc(s) Studio / Label: Universal Music UK Release Date: 13 Aug 2007. Foo Fighters : Echoes, Silence, Patience and Grace CD (2007)Title: Echoes, Silence, Patience and Grace Artist: Foo Fighters Genre: Rock/Pop|Rock Duration: 54.50 mins Format: CD / Album Type: CD No. of Discs: 1 disc(s) Studio / Label: Columbia UK Release Date: 22 Sep 2007. Of Discs: 2 disc(s) Studio / Label: Rhino UK UK Release Date: 19 Jul 2004. Disc 1 14 Top of the World 3.54 mins. Disc 2 2 Best of Both Worlds 4.49 mins. Disc 1 11 And the Cradle Will Rock. 3.34 mins. Of Discs: 1 disc(s) Studio / Label: Island Records UK Release Date: 05 Feb 2007. Disc 1 1 Grace Kelly 3.07 mins. Disc 1 10 Happy Ending 10.21 mins. Disc 1 6 Any Other World 4.19 mins. Disc 1 9 Stuck in the Middle 4.08 mins. Avril Lavigne : The Best Damn Thing CD (2007)Title: The Best Damn Thing Artist: Avril Lavigne Genre: Rock/Pop|Rock Duration: 40.30 mins Format: CD / Album Type: CD No. of Discs: 1 disc(s) Studio / Label: Columbia UK Release Date: 14 Apr 2007. 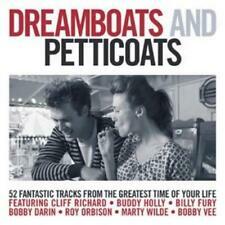 Various Artists : Now That's What I Call Music! 67 CD (2007)Title: Now That's What I Call Music! 67 Artist: Various Artists Genre: Rock/Pop|Compilation Duration: 156 mins Format: CD / Album Type: CD No. Amy Macdonald : This Is the Life CD (2007)Title: This Is the Life Artist: Amy Macdonald Genre: Rock/Pop|Pop Duration: 44.20 mins Format: CD / Album Type: CD No. of Discs: 1 disc(s) Studio / Label: Virgin EMI Records UK Release Date: 30 Jul 2007. Various Artists : The Imagined Village CD (2007)Title: The Imagined Village Artist: Various Artists Genre: World Music|Compilation Duration: 61 mins Format: CD / Album Type: CD No. of Discs: 1 disc(s) Studio / Label: Realworld UK Release Date: 15 Oct 2007. Sue Casson & The Brannick Academy-Tutankhamun All Wrapped Up CD.TUTCD001.